Despite being a small island, Cyprus boasts a great variety of wildlife. 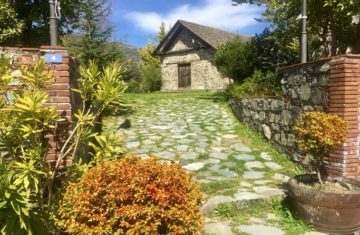 From mammals and birds to reptiles, fish and amphibians, the island is home to many species – and is a transit station for migrating ones- mainly because of its incredibly diverse environment, ranging from the snowy Troodos mountain-tops, to rugged coastlines and drier inland areas. 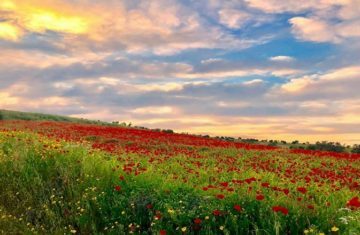 The My Cyprus Insider team has done a good bit of exploring and found some great spots for nature enthusiasts where animals can be spotted roaming wild and free. 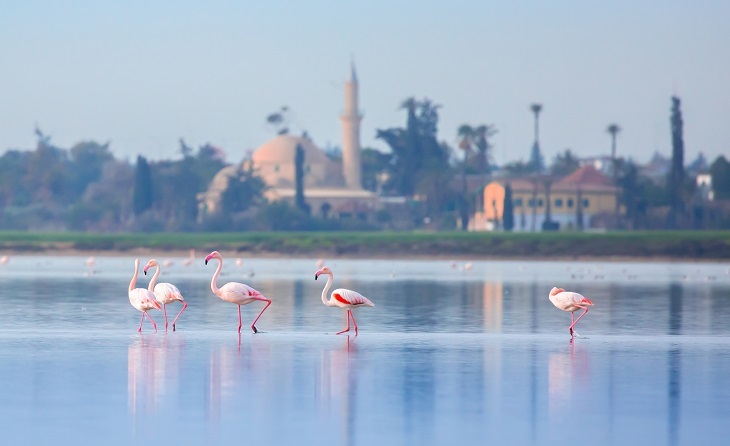 One of the most amazing natural spectacles in Cyprus, an estimated 10,000 migratory pink flamingoes arrive in Cyprus in the wetter months, to rest and feed. While some touch down at the Akrotiri and Oroklini Salt Lakes, most head to the Larnaca Salt Lake in search of their favourite food; brine shrimps. The Cyprus Tourism Organization and local authorities made bird watching at the Salt Lake easy, having added benches and observatories throughout the area. 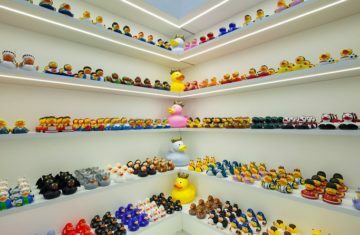 Keep in mind that the flamigoes arrive in Cyprus between November to March, with the vast majority landing down between December and mid-January. There are two kinds of turtles that frequent Cyprus waters in the midsummer; the Loggerhead turtle (Caretta caretta) and the Green turtle (Chelonia mydas). These gentle sea giants use Cyprus shores as a nesting ground and are both considered protected species. Authorities deter the public from going to close to their nesting grounds by placing protective cages around their nests, many of which are located at Lara beach in the gorgeous Akamas peninsula. Baby turtles are very sensitive to light and noise pollution. If you want to catch a glimpse of the little creatures you can always join a volunteer effort to help with the nesting efforts (the Department of Fisheries and Marine Research can point you towards the right direction). 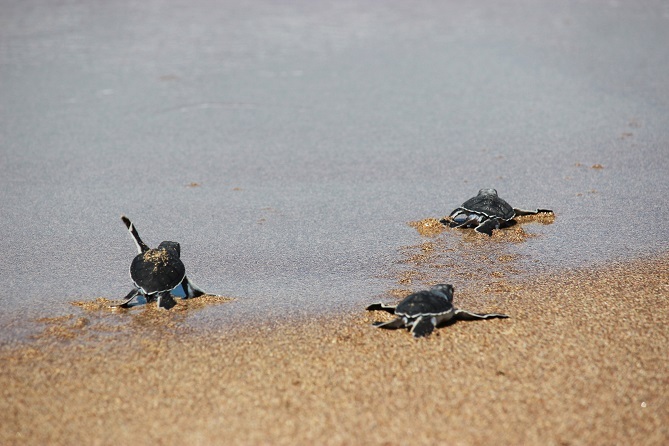 And if you don’t have the time for this, you can always catch a guided turtle/marine life watching tour, like the ones offered by operator Atlantis out of Paphos. 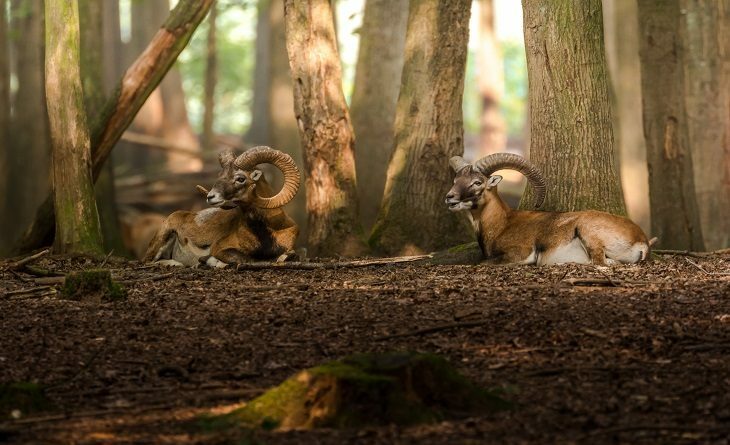 The national animal of Cyprus, the mouflon was once almost hunted to extinction but thanks to conservation efforts and the government declaring it a protected species, this horned wild sheep is roaming the Troodos mountains once again! 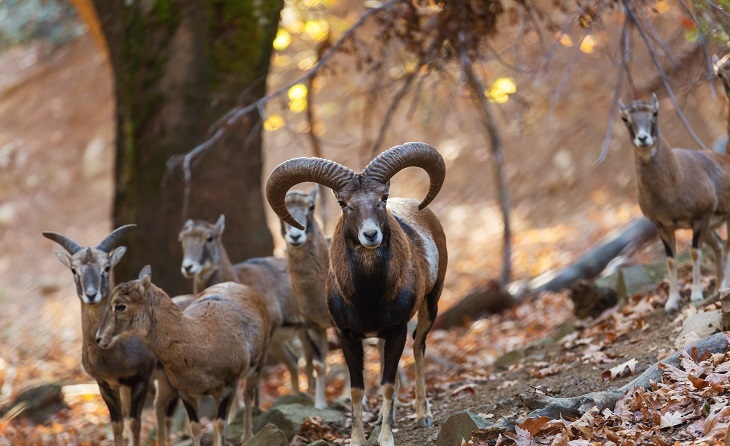 You can probably catch a glimpse of this shy animal on a hike through Troodos, but your best bet, is to visit the mouflon enclosure near the Stavros tis Psokas forest station. And if you walk through one of the designated nature paths in the area, you’ll most likely run into one as you put your best foot forward. Birdwatching enjoys a long history in Cyprus, while avid bird enthusiasts have been roaming the island for years to register all the 400 species that have been recorded in Cyprus. BirdLife Cyprus, an NGO dedicated to preserving the bird populations and their habitats on the island, lists a number of birdwatching locations on its website, along with the species you can expect to spot in each respective location. From the seaside cliffs of Cape Greco, to the depths of the Paphos forest and on to the Akamas peninsula, Cyprus is a treasure trove of bird species, with the island also acting as a stop for over 250 million migratory birds per year. Perhaps the most threatened bird species to see in the wild in Cyprus is the Griffon Vulture. This majestic species is on the brink of extinction on the island, but efforts are underway to save it from illegal poisoning and get its numbers up to a viable level once more. 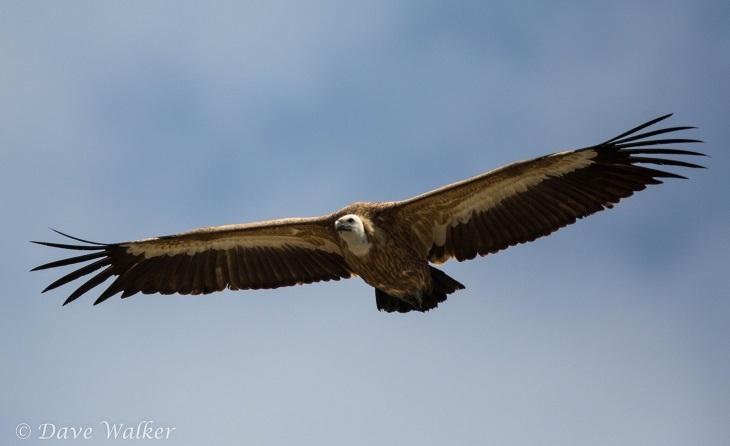 Currently, a mere 20 vultures circle the skies…Their main breeding colony can be found near the Episkopi village cliffs (known as Kensington cliffs), along with peregrine falcons and other bird species. Just grab your binoculars and you are good to go!